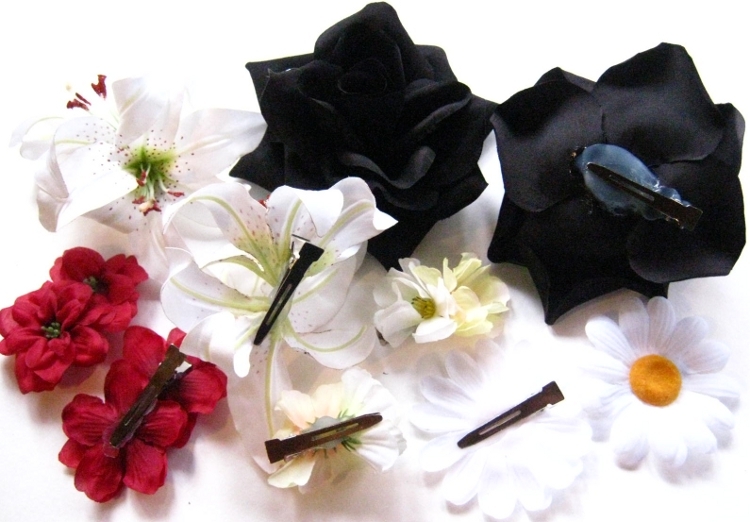 2 hair flowers/ flower hair clips with 2 pieces of the same lilies each, attached to professional metal hair clips for very strong hold (minimum hair length: 5 cm/ 2 inches). 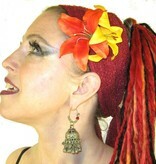 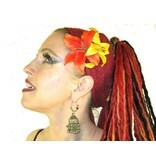 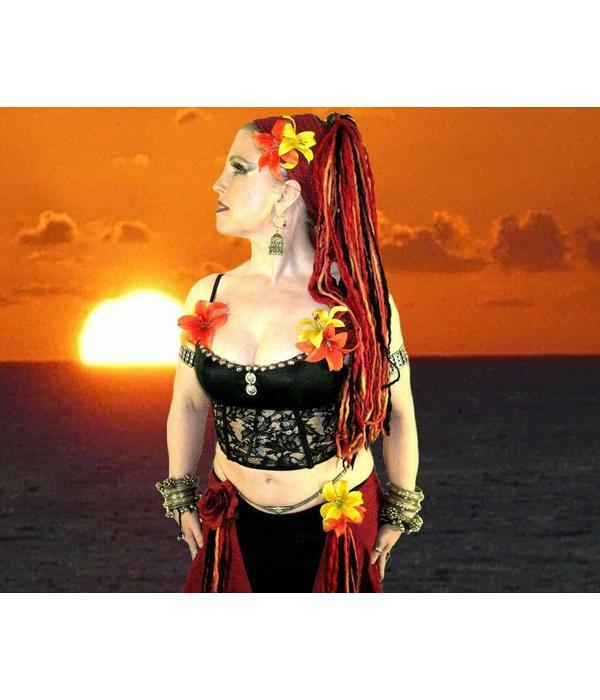 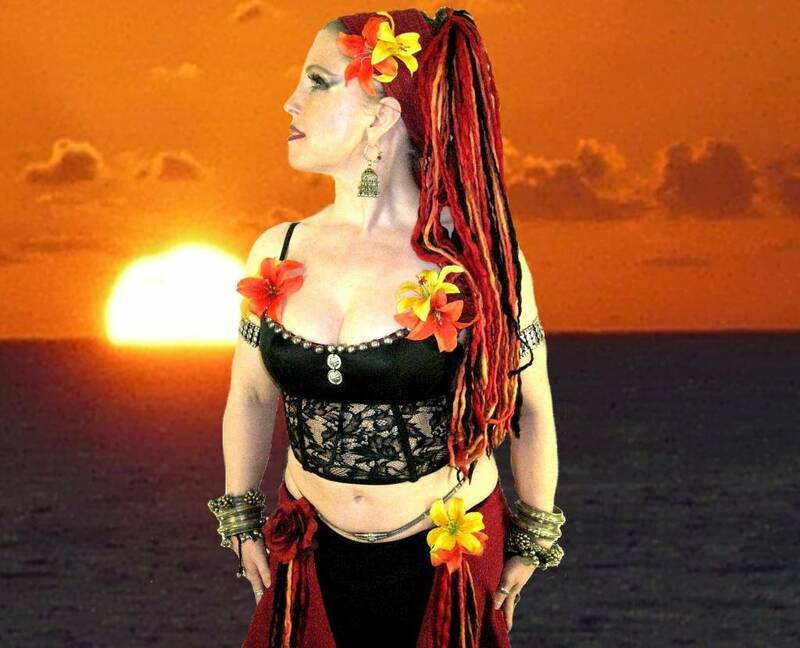 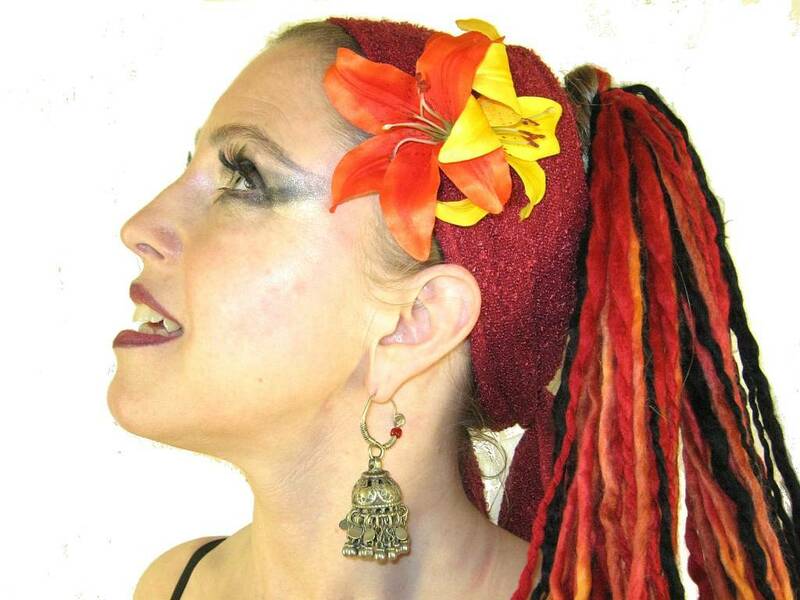 Presented by Belly Dance Star Apsara Habiba! 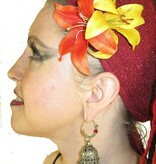 Size: about 11 cm/ 4.3 inches long and 7 cm/ 2.7 inches wide. 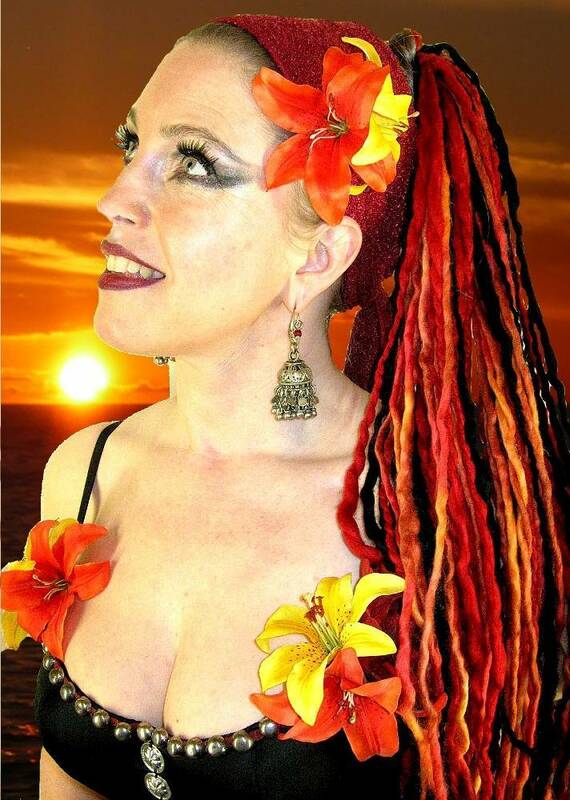 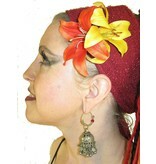 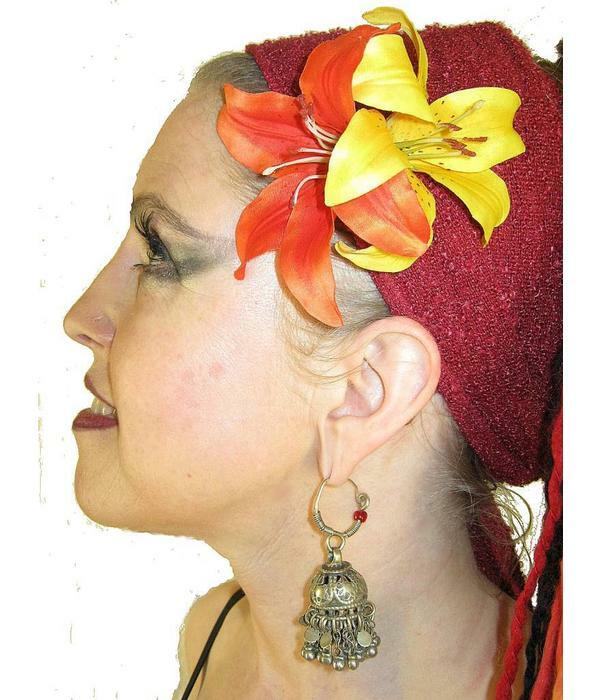 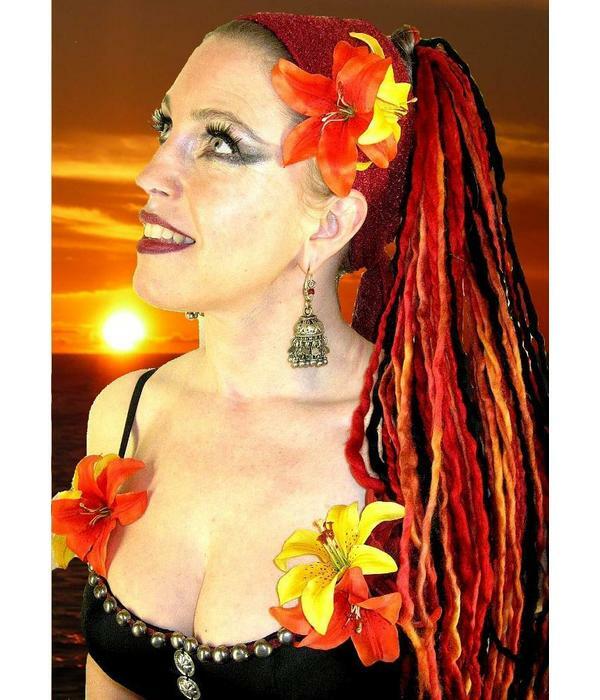 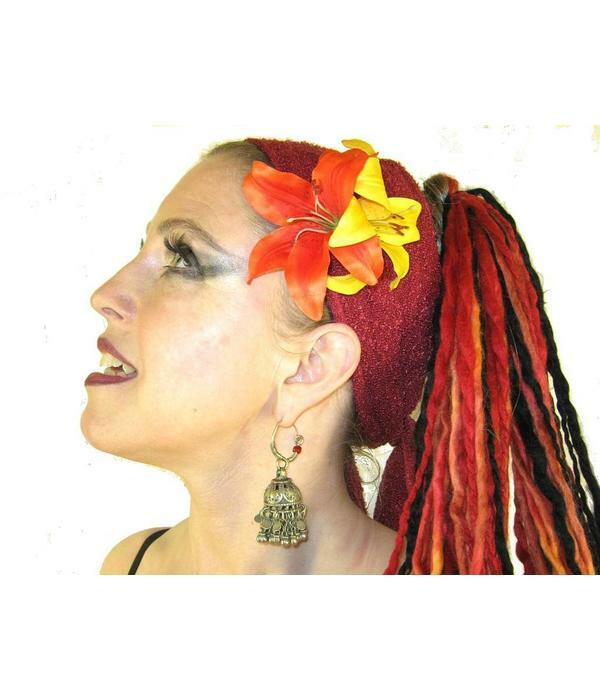 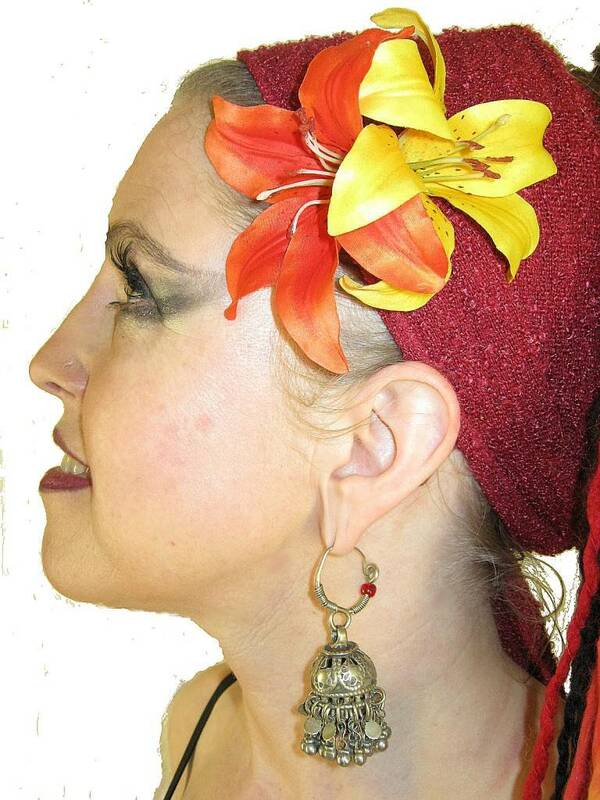 Lilies match many styles and are wonderful for formal occassions like proms and weddings and for alternative outfits like fantasy, tribal fusion belly dance, boho & gipsy style and Goth & cyber looks, too!